I hate to seem like I’m rushing but, I really want to hurry up and get to the guys that we really need to look forward to seeing in El Paso. 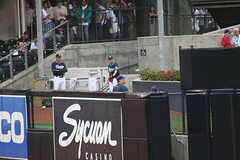 I’m not saying these relievers aren’t going to be there. I think we are all just ready to see future MLBers. I mean, I love going to El Paso Diablos games but, I’ve had enough non-MLB ready baseball for a while. Here is what I have learned about the Padres relievers. 1. Huston Street (RHP – RP) – Street is the full-time Closer and will probably be for a while. He is currently on the Disabled List however. 0-3, 11 SV, 4.43 ERA, 1.230 WHIP, 13 K, 8 BB Not awesome stats for a Closer. But, he is signed through 2015 so, he is the Padres Closer… for better or worse. Not likely to see him. I guess if he rehabs in Tucson following this DL stint, then maybe we can expect to see him sometime before 2015. 2. Luke Gregerson (RHP – RP) – 3-2, SV, 1.05 ERA, 0.662 WHIP, 19 K, 6 BB. Should he be the Closer full-time? I didn’t say that. Quit looking at me like that. I didn’t. Gregerson is Arbitration eligible this year. Barring an injury, he won’t be in El Paso next year. 3. Dale Thayer (RHP – RP) – 0-2, 2.92 ERA, 0.811 WHIP, 23 K, 8 BB. Could also be the Closer and do a better job than some people (not naming any names). Unfortunately for him, I just picked him up for my Ottoneu Fantasy Team. That’s usually the kiss of death. He is out of options. Not gonna see him. Sorry. 4. Joe Thatcher (LHP – RP) – Wow… this bullpen is a beast! Maybe they could all be converted to Starters? 2-0, 1.59 ERA, 1.235 WHIP, 13 K, 2 BB. Also out of options. Not gonna see him. Also sorry. 5. Tyson Ross (RHP – RP) – 0-1, 2.20 ERA, 1.326 WHIP, 20 K, 14 BB. He’s walking a few too many people but, the stats still are not bad. If he continues to walk people at this pace, we may see him at some point. He’s pretty young so, he’s still got time to come down to El Paso and work on some things. 6. Tom Layne (LHP – RP) – Hasn’t been up too long. At Tucson he had worse stats than any of the above listed pitchers. Against left handed batters in AAA his slash was .269/.355/.404 and 2 HR. It would appear that he’s not very good at being a left handed specialist…. or other things, like pitching (sorry if that seems too harsh). Really good chance of seeing him in El Paso, if he has a job next year. 7. Brad Boxberger (RHP – RP) – Boxberger is apparently a pretty good prospect. But, being a bullpen prospect can be rough sometimes. Boxberger was just sent down again today. His numbers, ML: 0-1, 5.79 ERA, 1.286 WHIP, 6 K, 0 BB – AAA: 5.73 ERA, 1.636 WHIP, 31 K, 10 BB. Seems like AAA may be the right place for now. He’s back in AAA now. Looks like he could be closing there to begin next season as well. 8. Tim Stauffer (RHP – RP) – Former 1st Rd Pick. Stauffer was a Free Agent before this season despite having always been with the Padres. He was re-signed on a one year deal. Stauffer started out in AAA but is currently in the Bigs. 0-0, 3.95 ERA, 1.244 WHIP, 14 K, 3 BB. 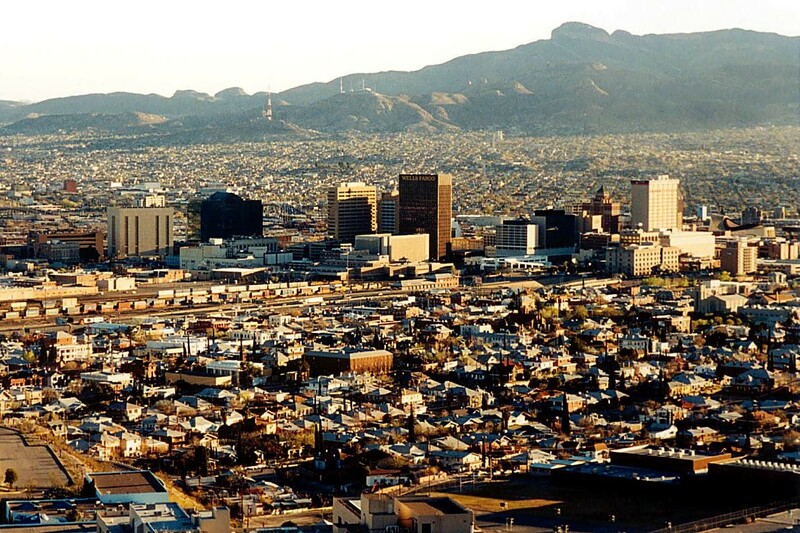 Won’t be in El Paso next year. If he re-signs with the Padres it won’t be to play in AAA. 9. 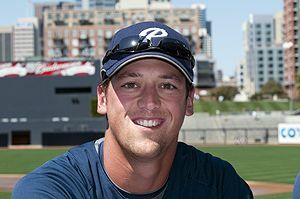 Burch Smith (RHP – RP) – I have Smith listed as a Reliever because I already finished my Starter posts. He has only ever started in the Big Leagues, albeit only 3 times and not that well any of those 3. 0-1, 18.41 ERA, 3.00 WHIP, 11 K, 6 BB. This is his first year in the Majors. It looks like he’s a pretty good minor league pitcher though. He was called up from AA originally and then demoted to AAA after a few weeks. Maybe this time with the Padres will be better for him. I’m gonna go with a 100% chance of seeing Burch Smith pitch in El Paso next season. Call me crazy. Alright. That’s it for the Padres big league club. I can’t wait to start talking about the Minor Leaguers. The Minors are my bread and butter! I know that the MLB Draft doesn’t get nearly the publicity of any of the other drafts. Honestly, it’s probably for good reason. It’s not too often that you get to see any of the guys drafted today play in the Major Leagues immediately. 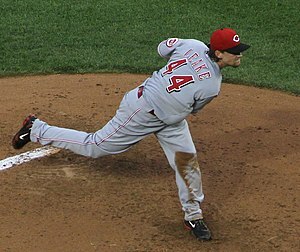 In fact, since 1990 there have only been five players that went straight to the Majors, the most recent being Mike Leake for the Cincinnati Reds in 2010. Just like the way that baseball is slower in pace, the development of young players is often slower than other sports. That doesn’t mean however that the draft is not worth paying attention to. You might not see them soon but, we will see a percentage of these players someday in El Paso and, hopefully for them, in San Diego. The Major League Baseball Draft, because of the immense volume of players available is next to impossible to predict. I think the only way to really hypothesize about what a team might do is to look back at the teams past drafting habits. So, without further ado, here are my Padres draft predictions sure to go wrong. Rd 1 (pick 13) – Reese McGuire (C – Washington High School) – In the past the Padres have had no problem going with Minor Leaguers in the 1st Round. Despite the fact that they have Austin Hedges, they still could draft a Catcher. In the past, there has been a large percentage of players who were drafted as Catchers that moved to other positions in the pros. Rd 2 (Pick 50) – This is where I hand the reigns over to my friend, the Real Padres GM, Noah. Like I said, the draft field is just too immense. I am spending the majority of my time learning the Padres organization from top to bottom. I will observe the draft, learn about the guys the Padres draft and then have something on here about them in the near future. In the meantime, enjoy Noah’s Mock Draft, even though he is wrong and I am right about the Padres 1st Round Pick! We don't know exactly when the first game here in El Paso will be but, we will countdown anyways. Obviously, this will change once we find out. Are You Up to Date?